Product prices and availability are accurate as of 2019-04-19 01:48:33 UTC and are subject to change. Any price and availability information displayed on http://www.amazon.com/ at the time of purchase will apply to the purchase of this product. 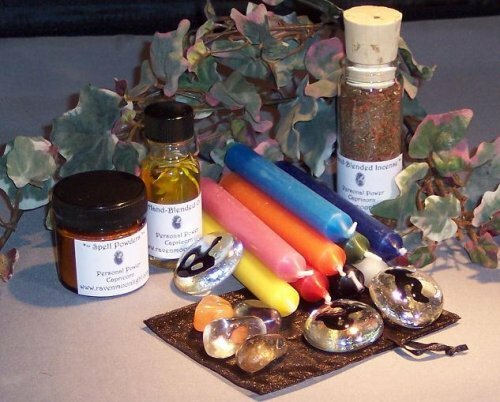 This is a wonderful kit for anyone looking to increase their own personal power! This kit contains everything you need to get started: One full size personal power incense blends, one full size personal power gemstone oil, one set of personal power gemstones, one set of 10 spellcasting candles and three hand-crafted talismans (one for your sign, one for the ruling planet of your sign, and one for the ruling element). A wonderful set for anyone looking to boost personal power or just learning spellcasting. Best of all - each set is customized to your zodiac sign! All blends are hand-blended when you order it! Comes with our best-selling spell guide for creating your own spells! Includes informational sheet about your sign, including stregnths, weakenesses and correspondences Makes a perfect gift! 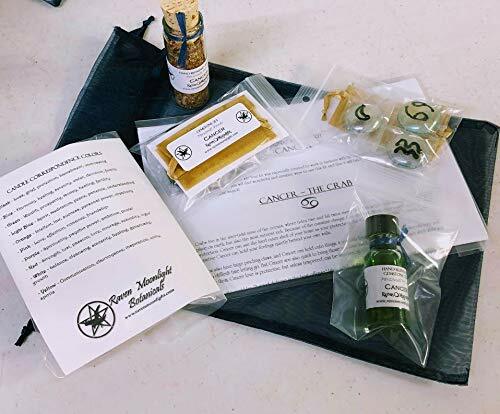 Picture shows a sample capricorn complete kit!